We are one of very few California law firms that are highly specialized in CalPERS Retirement Disability cases. Our attorneys have filed hundreds of successful CalPERS disability retirement applications and appeals. We have obtained millions of dollars in CalPERS disability retirement benefits for our clients. You have worked hard to earn your CalPERS benefits – and we are here to help you get what you deserve. Our lawyers have assisted hundreds of police officers, firefighters, teachers, administrators, corrections employees, transportation workers and other public employees in applying for disability retirement – and successfully appealing disability retirement denials. Call us today. Or fill out the quick form on the right for a FREE CONSULTATION with an experienced CalPERS Disability Retirement attorney. CalPERS is the nation’s largest public pension fund, with 1.8 million members and more than 3,00 employers including the State of California. 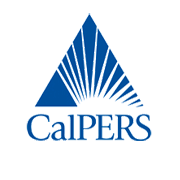 CalPERS membership includes: 873,026 active members; 648,645 retirees; 337,883 state members; 705,946 school members; and, 575,138 public agency members. More than 20 Billion dollars is paid out in public employee retirement benefits by CalPERS to eligible retirees. There are actually three separate means by which a CalPERS member can qualify for their retirement benefits: Service Retirement, Disability Retirement & Industrial Disability Retirement. Service Retirement is based strictly on years of service. However, Disability Retirement & Industrial Disability Retirement may be collected prior to full retirement age IF the employee proves that he or she is unable to work due to a disability. Unfortunately, because of the large amount of money at stake, CalPERS will often question or deny Disability Retirement Benefits. This can be devastating to a disabled public employee who has devoted their career to public service – only to be denied their hard-earned retirement benefits. Our experienced CalPERS attorney have assisted hundreds of injured, ill or disabled teachers, police officers, administrators, transportation & airport workers, firefighters, corrections personnel and other public employees collect the maximum Disability Retirement Benefits for which they qualify. If your disability retirement is approved by CalPERS, you will receive a monthly retirement payment for the rest of your life, or until you recover from your injury or illness. Some exceptions do apply to the service credit requirement. Contact our CalPERS attorneys to see if you qualify. If you are approved for industrial disability retirement by CalPERS, you will receive a monthly retirement payment for the rest of your life, or until you recover from your injury or illness. Your injury or illness DOES have to be work related to qualify for Industrial Retirement Disability. However, there is NO age requirement and NO “vesting” (years of service) requirement required to be eligible for CalPERS Industrial Disability Retirement. If are a public employee who needs to apply for – or fight a denial of – CalPERS Disability Retirement Benefits, call us for a FREE CONSULTATION. The Retirement Disability Attorneys at the Law Office of Cantrell Green offer FREE CONSULTATIONS to CalPERS members and all public employees in the Los Angeles area, Orange County, San Diego County, Ventura County and anywhere in California, including: Anaheim, Long Beach, Carson, Bellflower, Compton, Downey, Fullerton, Garden Grove, Hawthorne, Huntington Beach, Irvine, La Habra, La Manhattan Beach, Mirada, Lakewood, Lomita, Oxnard, San Pedro, San Bernadino, Santa Ana, Santa Monica, Santa Barbara, Thousand Oaks, Torrance, Wilmington, Whittier & Yorba Linda.